If you’re suffering from a painful injury from a sporting accident, trip or fall or a road traffic accident then we can help to relieve your daily pain. 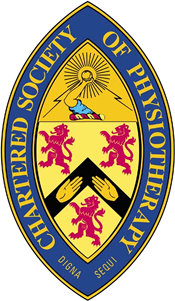 Based in Bowdon, Cheshire we offer our clients relief from painful muscle injuries and support during this painful time. Our specialised team of physiotherapist have years of experience and are exceptionally trained to the highest standards. We are always looking for new and innovative methods within our industry, which we can then use to offer our clients the best possible service and best results. We also offer our excellent service to elderly clients who may be suffering from many different types of musculoskeletal problems. Our highly trained team are experts in treating all forms of muscular pain and our elderly clients can find this extremely helping in curing their aches and pains and helping them to achieve better mobility. At Physio Wellbeing, we pride ourselves on being one of the leading physiotherapists in Bowdon. With our person centred approach we understand that every person and every injury is unique and we endeavour to treat you that way. We offer a full and thorough assessment of your injury to ensure that we can offer you’re the best treatment plan which is unique to you. Call us on the telephone number provided or fill out your details on the form below to start your recovery journey with us today. If you give us your contact details one of our highly experienced and trained team members will call you to discuss your injury and what you require from a physiotherapist. We can then arrange a physio plan to suit you. Our clinic in Bowdon is wheelchair accessible and very easy to find either by car or public transport to ensure that your treatment with us is as relaxing experience as possible.